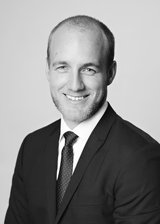 Peder Nicolai Jarlsby joined Fearnley Securities in 2016 as an Equity analyst. The Fearnley Shipping Team covers roughly 50 companies within Gas, Container, Dry Bulk and Tankers. Mr. Jarlsby previously worked one year in Sparebank 1 Markets as an equity analyst, and holds a MSc in Finance from Warwick Business School.